ForkliftCertification.com is a recognized industry leader in OSHA forklift safety training programs and the online forklift license card. Our courses are used by companies all across the United States to train their workplace and remain compliant with industry standards. Affordable and time-efficient, ForkliftCertification.com training classes are also incredibly convenient. With a secure internet connection, you and your employees can get an OSHA forklift certification card the same day that coursework is successfully completed. Since 2002, no other company has surpassed ForkliftCertification.com. We’re trusted by reputable firms – both public and private – and can help your company today. We’re the best choice for OSHA compliance. Many employers use ForkliftCertificaiton.com for their training needs. Why should you? Keep reading to find out! Why Do Operators Need a Forklift Certification Card? It’s not enough to give training to your employees. You need a record proving that they’ve completed the education necessary to operate forklifts safely and pass all industry requirements. OSHA has set strict standards when it comes to equipment operation and training, in the effort to reduce the amount of accidents that occur every year. According to OSHA, employers must ensure all operators have completed training and are competent to operate forklifts safely and properly. The OSHA forklift certification card is issued after the completion of written instruction, practical evaluations, and paperwork outlining the successful completion of this training. A forklift certification card may seem insignificant, but it’s the tangible evidence that you’ve followed OSHA’s orders and are compliant. And as any employer knows, you understand that this means you’ll be able to avoid fines and potential legalities, as well as help prevent accidents in your workplace. OSHA takes safety very seriously and works very hard to try and reduce the number of workplace accidents that occur every year. • Ensure your workplace is equipped with only the best and most up-to-date information about forklift safety. Before looking into getting a forklift license card, it’s important to know all of OSHA’s requirements for forklift training and certification. You can’t simply take a test and get your license. You need to complete a series of training steps that will be the most effective for teaching new operators how to drive forklifts safely and prevent accidents. Get your forklift operator certification cards for your workers today! Remember, employers are responsible for forklift operator certification cards. If your forklift operators don’t have a forklift license, we’ll help you get one! How Can You Get a Forklift Operator Card for Employees? The first step is finding a forklift training program that is 100% compliant with all OSHA requirements. ForkliftCertification.com is just that program, and provides the best forklift license backed by industry standards. When you sign up with ForkliftCertification.com, you will have the option between two, or both of our training courses which both issue an OSHA forklift certification card. These courses provide the forklift certification card as part of their comprehensive features. So whether your company designates a single training provider or offers training to a full forklift driving fleet, you’ll always have an OSHA forklift certification card for each of your operators– whenever and wherever you wish. Unlimited forklift operator cards are also part of our value-added Bundle Package, which includes both Train a Trainer and the Training Kit. With easy-to-use printable templates, you’ll have streamlined access to forklift operator cards. Hiring new employees? No problem – just fill in their unique information and our forklift operator card template handles the rest. It’s never been easier to handle your company’s forklift training program – on your terms, and well under budget. Print your employee’s forklift certification card upon successful completion. It’s that simple to get the forklift license! CHOOSE FLC FOR EASY, FAST, & AFFORDABLE FORKLIFT LICENSE — TODAY! ForkliftCertification.com has both Manager and Trainer login sessions, so each type of employee has 24/7 access to their forklift operator card, from any device with an internet connection. In only about one hour, from home or at work, employees can complete their training and receive their forklift certification card. With ForkliftCertification.com, your employees receive their forklift operator certification cards in about an hour. When their hands-on evaluation is complete, simply print their forklift certification cards and file away with your HR department. In the event of an accident or injury, OSHA will review training records. • Update a specific forklift operator’s HR file. This is important during OSHA audits and investigations! • Show instant training proof to OSHA personnel, in the event of an impromptu inspection. 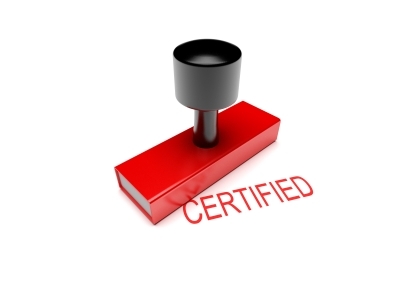 • Or, simply print out a forklift certification card for your employee’s own personal records. Training travels with the employee – once operators are certified with FLC, training is good until the expiration date. • Get free three-year renewals for life with our forklift training program! Make sure your employees have their forklift operator certification card. Get in touch with our OSHA forklift certification card specialists at (888) 278-8896 or visit the FLC contact page for more information about forklift operator cards. Our course prices are incredibly affordable, costing only $59.95 per module or $299 for the entire training kit! Thanks for making ForkliftCertification.com your trusted partner for OSHA forklift certification cards! We look forward to hearing from you soon. Don’t delay with your company’s safety program – you can afford NOT to!